It was an easy ride from Mornington to Melbourne. We left about 9am and made our way along the Nepean Highway, which mostly had a bike lane to ride in. Peak hour traffic had finished, and despite there being a constant stream, the traffic was no problem. 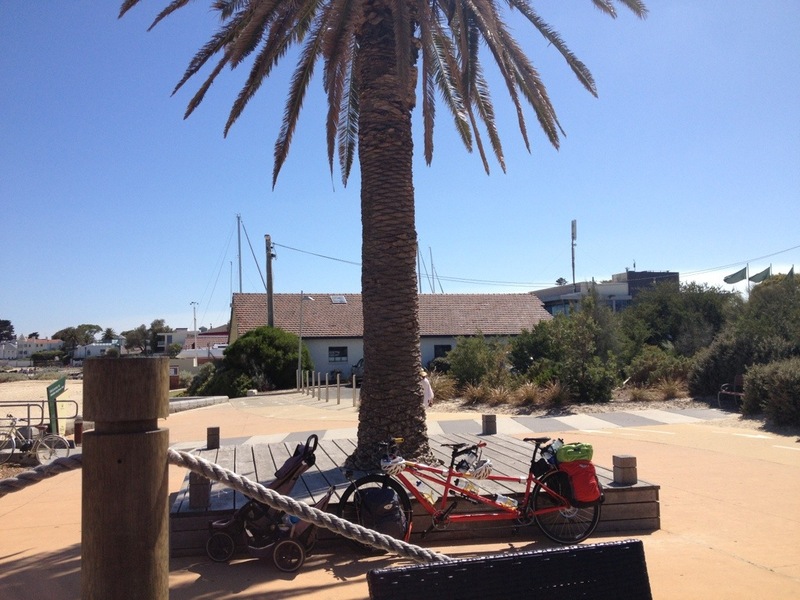 Once we reached Beach Road, we turned onto that and rode the rest of the way along the waterfront until we reached Port Melbourne where we knew we could get onto the bike path back to Coburg where the Stoker’s sister lives. The whole ride was pretty uneventful and rather flat! That will be the last piece of flat road we will ride on for a while! Top work guys well done, is that your challenge done now then? Bit of a delayed response, Gary, but that was the end of that adventure. Many more to come!